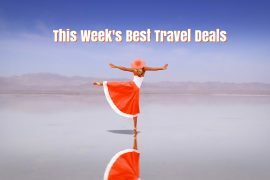 In my best travel deals this week I have winter breaks in Costa del Sol, Lanzarote and Vienna, summer in Marbella, Vilamoura and South Africa, a taster cruise and a luxury staycation. Escape the rain in sunny Costa del Sol this weekend. Enjoy a seven-night stay in the hugely popular Sunset Beach Club for only €255. Price includes flights and apartment for one week, departing the 3rd of December. Take advantage of TUI’s Free Child Place offers with this super All Inclusive deal to the Cortijo Blanco on the Costa del Sol. Fly from Dublin to Malaga on the 14th of July and enjoy a seven-night stay for only €2495, based on 2 adults and 2 children sharing! Price includes flights, transfers, baggage and all meals and drinks! Always wanted to try a cruise but think a week might be too long? This Royal Caribbean taster cruise is just the ticket! 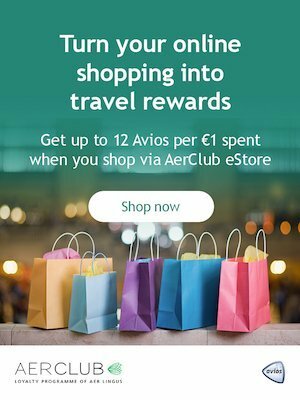 Fly to Rome on the 10th of June and enjoy a two-night stay in the Bailey’s Hotel with breakfast, before cruising to Corsica, Provence and Nice for for four nights on Jewel of the Seas. Price of €799 includes flights, hotel in Rome and Royal Caribbean cruise with all meals and entertainment included! South Africa is one of my favourite holiday destinations and this 12 day trip includes stays in Cape Town, a road trip along the Garden Route and a two-night stay in a private Game Reserve. 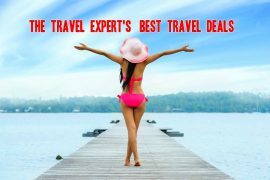 Price including flights, highly rated hotels and car-hire is only €2299. Treat yourself or a loved one to an overnight stay in the 5* Druids Glen Resort in Wicklow. Price of €165 includes stay for two with breakfast, a bottle of prosecco, €15 spa credit towards treatments of 50 minutes or more, €15 golf voucher for Druids Heath Course (per person credits), €20 dinner credit per couple and late check-out by 1pm. Spend a week in the highly rated Palmeras Garden apartments in Lanzarote for only €282 on the 30th of March. Price includes flights and accommodation for seven nights! Enjoy a week in July the upmarket resort of Vilamoura in the Algarve – without the expensive price tag! Stay at the popular Old Village apartments, which are highly rated on tripadvisor, for seven nights for only €495 per person. Price includes flights to Faro and accommodation based on two sharing, departing the 31st of July. 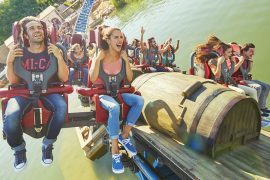 Halloween Break at Port Aventura World & Ferrari Land, 3 Nights, 2ad & 2ch, Flights, 4* Hotel & Park Passes, €1019! Previous articleTop 3 Las Vegas Multi Centre Holidays – Prices from €899 Inc All Flights & Hotels! Next articleFour Star Weekend Break to Vienna, 6th September, 3 Nights, €289!